How well do you remember Short Circuit? “Johnny-5 is alive,” “No disassemble,” Ally Sheedy slow-dancing with a robot…any of that ringing a bell? A white dude in brownface. Actually, I was going to say that’s Steve Guttenberg’s funny Indian assistant who then became the main character in the sequel. What’s this about brown face? The first time I saw an Indian character in an American movie was “Short Circuit 2,” a 1988 film in which a humanized robot named Johnny 5 goes to New York and bonds with an Indian scientist named Benjamin Jarhvi. Seeing an Indian character in a lead role had a powerful effect on me, but it was only as I got older that I realized what an anomaly it was. I rarely saw any Indians on TV or film, except for brief appearances as a cabdriver or a convenience store worker literally servicing white characters who were off to more interesting adventures. This made “Short Circuit 2” special. An Indian lead character? With a Caucasian love interest? In the 1980s? What’s going on here? A bold foray into diversity far ahead of its time? One day in college, I decided to go on the television and film website IMDB to see what happened to the Indian actor from “Short Circuit 2.” Turns out, the Indian guy was a white guy. I’m actually the same age as Aziz meaning Short Circuit 2 hit me right around the same point in my childhood as him. It must have been one of those movies which HBO used to play all the time because I know the last time I saw it was over two decades ago but I can still quote it. I never actually IMDB’ed the movie the way Aziz did, though. I had no idea until reading his essay the person in the movie was a white guy pretending to be an Indian. 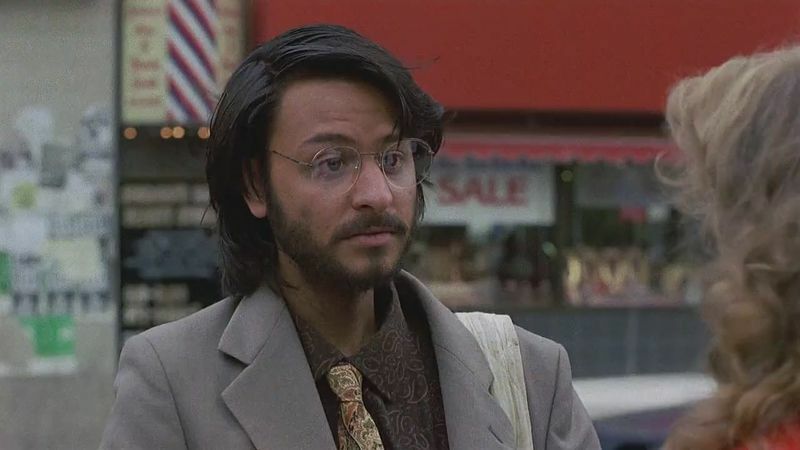 In fact, I saw Fisher Stevens in other things in the 90s and never connected the dots. 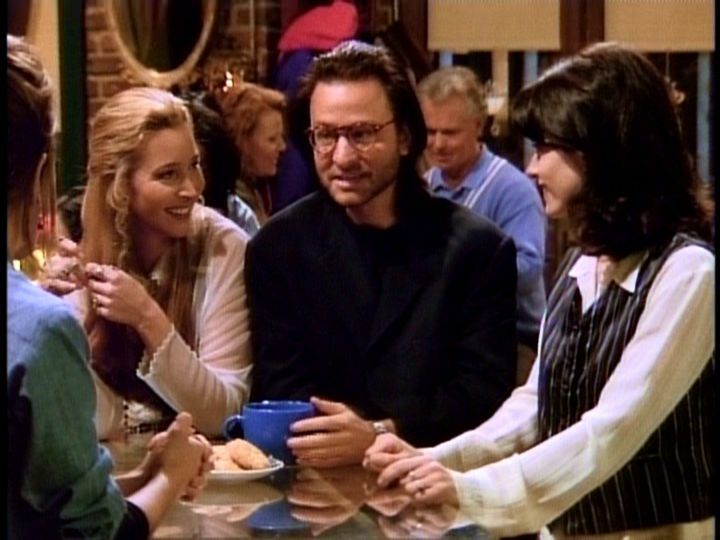 For example, here he is in an early episode of Friends, playing Phoebe’s new psychiatrist boyfriend, Roger, who depresses and angers everyone. As a child, I thought the villain of the film was Oscar Baldwin, the banker who tricks Johnny 5 into helping him commit a jewel heist. As an adult, I thought the bad guy was actually Mr. Stevens, who mocked my ethnicity. And now, here I was, a real Indian man, talking to the actor who played a fake one almost 30 years ago. After a long conversation, I can confirm Mr. Stevens is not a villain, but was, when he took the role, a well-intentioned if slightly misguided young actor who needed a job during a more culturally insensitive time. At first, he was remarkably casual, cooking dinner as we talked, seemingly happy to recall his days with Johnny 5. It was 1987, so we were all a little less savvy about the things we were doing that were actually hurtful to large groups of people, and the answer, for a 21-year-old struggling actor, was yes. Mr. Stevens’s efforts to make the character real, and not a full-on ethnic cartoon, are admirable, despite the underlying insult of his being cast. Toward the end of the conversation, it seemed to fully hit him how insensitive his casting may have been, and he said several times that he believed the role should have been played by an Indian and that he would never take it today. It was a different time, and perhaps I’m in the minority of people who didn’t already know the truth behind Short Circuit 2. However, if you listen to Aziz he recognizes things are improved, but thinks we could still do so much more. He cites The Social Network as an example of a movie with an Indian character played by someone of a different ethnicity, and The Martian as a case of a scripted Indian character having his name and ethnicity changed during the casting process. He also calls upon more white people in power in Hollywood to give more people of color a shot because if it wasn’t for show creator Michael Schur giving him a shot on Parks & Recreation he never would have been able to build up the skillset and industry connections to make Master of None.